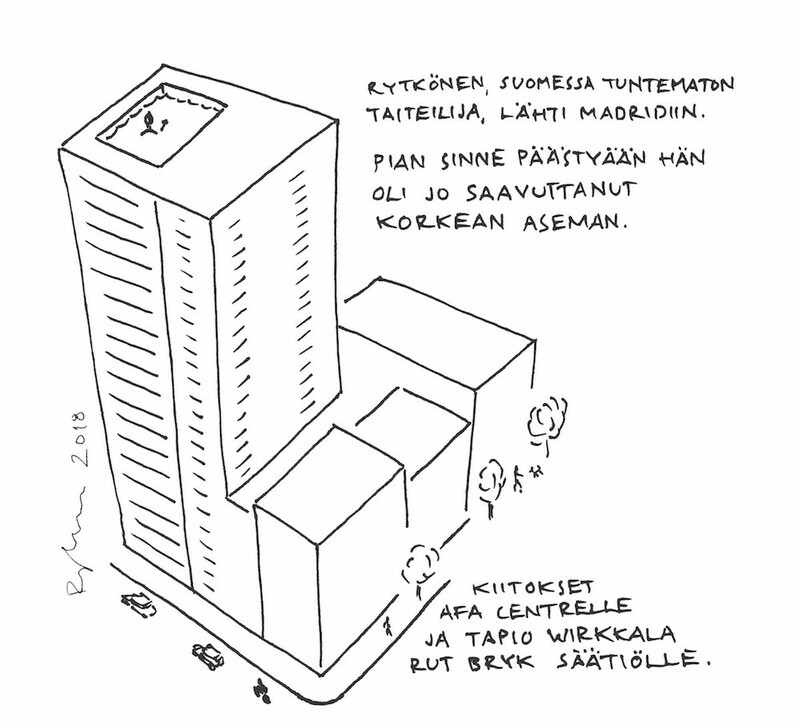 The Tapio Wirkkala – Rut Bryk Foundation granted me AFA Centre's residence in Madrid for September 2018. ¿Qué he hecho yo para merecer esto? - What have I done to deserve this? I lived in 15th floor with long views. Went swimming in the roofpool in the mornings. Had a desk for working at Ángel's office, few blocks away. drew collection of pictures like the one above.